Peaceful composition featuring piano, soprano sax, upright bass, percussion & background vocal harmonies. 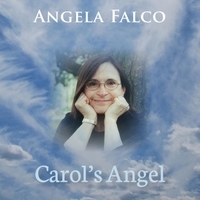 "Carol's Angel" is an instrumental composed for Carol Detwiler-Charlesworth, a dear friend, recently departed and deeply-missed. Diagnosed at birth with a heart condition, and not expected to survive past age five, she lived a full life to the age of 61. Carol's philosophy was "Every day is a gift!"